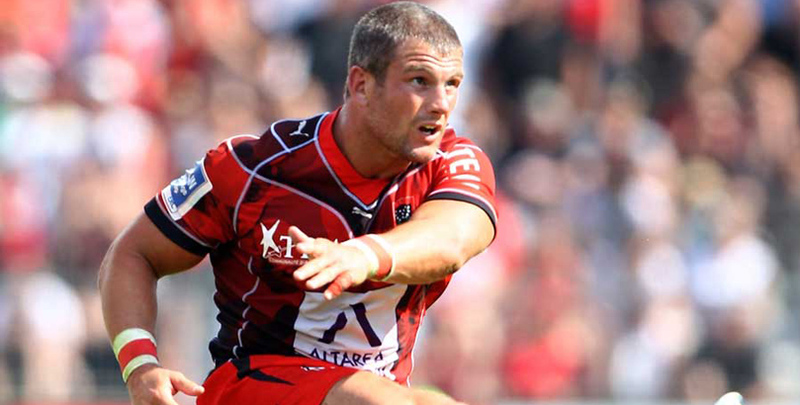 With Europe’s domestic club rugby season set to kick off with the start of the French Top 14 competition this week, we’re asking former Toulon star Tom May for his thoughts on the state of play across the Channel. 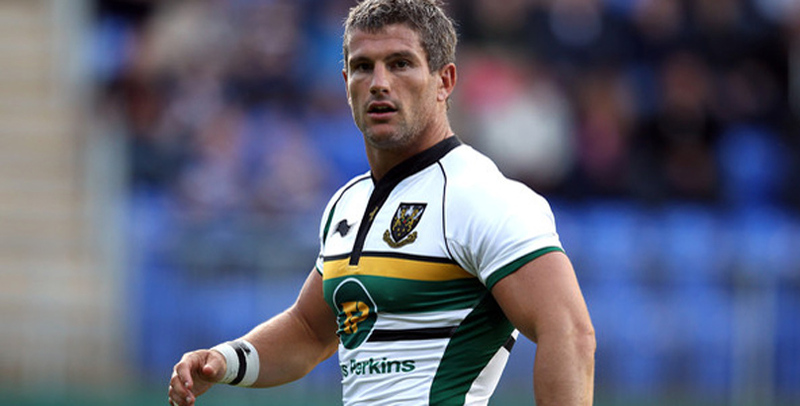 May also served with great distinction at Newcastle, Northampton and London Welsh and was capped twice by England during a stellar professional career that spanned almost two decades. Can French clubs compete for the top European honours this season? French clubs have the biggest budgets and they recruit pretty well, so they should be there or thereabouts this season. Racing and Toulon have some pretty difficult groups, but I think they have both got the experience to compete. Racing should be pretty disappointed with their performance against Leinster in last season’s Champions Cup Final in Bilbao, but I think they showed enough to show they are developing their style. They have lost Dan Carter but have gained Finn Russell in return, who might bring a different style and way of playing. They also have Simon Zebo joining from Munster, who brings an awful lot of European experience and I think he’ll add a lot to them. Toulon have players like Julian Savea and Rhys Webb joining, while you also have Johan Goosen, who ‘retired’ from Racing only to re-sign for Montpellier for an astronomical sum, so you can’t discount them, so I think the French clubs are well placed to be competitive in Europe this season. Castres took the Top 14 title last season in spite of finishing sixth in the regular season – do you think this feat will be repeated in the near future? Castres are known for this, so it could well happen again! That said, the financial backing of other French clubs relative to Castres is enormous, so for them to repeat that feat again will be incredibly difficult. To do what they did and dominate the final last season against Montpellier was absolutely outstanding. It showed that if you’ve got a group of players who pull together, it almost doesn’t matter how many ‘stellar’ names you have – you can see that by what Leicester City did in the English Premiership. A well-functioning team can often overcome a side of so-called ‘stellar’ names. I think there will be fewer chances of it happening in the future, but everyone loves it when the underdog upsets the applecart. What do Toulon need to do to get back to challenging for the very top honours in France and in Europe? I think Toulon will be there or thereabouts again this season, though they do need to keep developing their game. I think at times over the past few years, they have been tough to watch, but last season they played some brilliant stuff. Having said that, central to the good stuff they played was Chris Ashton, who has gone to Sale, and he was absolutely pivotal to the way they played last season. But now they can give opportunities to youngsters like Louis Carbonel, who won the Under-20 World Championship in France – he’ll have an opportunity to play more at No 10. They have a chance to create the stability that has been missing in the past few seasons too, with Marc Dal Maso as forwards coach, with Juan Fernandez Lobbe retiring. They have chopped and changed their coaching staff and brought people in at different stages of the season and I don’t think that helps clubs. Instability at the top reverberates around the club, so if they can address this and bring some stability to the way in which they play, then I am sure they will be challenging both in France and Europe next season. The Top 14 League has changed the rules so that French clubs have to field a minimum number of French players. Will this damage their chances when it comes to competing for European honours? Will the French national team really see that much of a benefit? French clubs having to select a greater proportion of JIFF (Joueurs Issus des Filieres de Formation) players can only help the national team, but I don’t see it having a major impact on the performance of French club sides. I don’t think rugby can survive on sides that don’t have home-grown talent. Newcastle Falcons are a great English example of what the French are trying to protect. They have always had players who have grown up in the local area, who the fans can relate to. Having younger players play regularly is obviously always a bit of a risk. However, given that opportunity, then it’s a big step in their development they can benefit from. There is a guy called Cameron Woki at Bordeaux, he’s been given opportunities to play and he was in the Under-20s this summer and he’s progressed hugely. As they have been proactive in blooding their youngsters, I think France will be a real threat at their home World Cup in 2023. France have provided the losing finalists in the last three seasons of the European Champions Cup, is there a French side you believe that can go one better this season? I can’t see past the Irish teams I am afraid, particularly Leinster – I think they are outstanding. It is going to be difficult – I definitely see Racing and Toulon getting to the latter stages of the competition, I’m just not sure if they have the game to get past the likes of Leinster and Munster. Toulouse have had a shocker over the past few years and will expect to do better this season. That being said, they are in a pool with Leinster, Wasps and Bath, so it’s a pretty daunting task that they face. I think Clermont can do well in the Challenge Cup, but I think French hopes for European top honours will be firmly pinned on Racing and Toulon rather than any other French clubs. As someone who made the trip from the UK to play for Toulon, what advice would you offer Rhys Webb, who is preparing for his debut season in France? It is key that he throws himself into learning the language and it sounds like that’s what he’s doing. Especially as a scrum-half, where you have to run plays. When I was at Toulon, I was playing fly-half one day and I was trying to communicate with an Australian scrum-half who didn’t speak French. Then I was having to turn to the back line and try and run plays with Georgians, Argentinians, etc, and it’s really difficult. So, it’s key every non-French player makes the effort to know the basics of the language. It doesn’t have to be conversational French, it’s ‘rugby French’ – so basic calls, understanding instructions and general directional language. He’s one of the best number 9s in the world, so if he can add 10 per cent by understanding the language, then he should seek to. One other thing he’ll notice is they have a lot of good things in France, but there are some things that are integral to the way they run their rugby that you can’t really change. Some of them are frustrating, you have to deal with it and add what you can. It’s important that he adapts to their rugby culture, rather than expecting their rugby culture to adapt to you. What did your time in Toulon teach you in your two seasons there? I learnt that losing one game is not the end of the world. Traditionally, the French rugby culture is such that there is a bit of an overreaction regardless of the result. They tend to overegg the importance of a single result – you don’t become a brilliant or a terrible team overnight, so I tried to bring a bit more of a balanced mentality. The way things are done in France, I tried not to get sucked into that up-and-down culture. But it was an incredible experience on and off the field, having the chance to play your rugby in a place like that. I am looking forward to watching the Top 14 to see how Rhys Webb and a lot of other players perform versus the expectations of them. Memories of Toulon? Favourite places? I lived just outside Toulon in a little town called Carqueiranne, where a lot of the players from abroad settled. Going from Newcastle on the North-East coast to the Mediterranean, I had a 180-degree view of the sea, it gave me a real understanding about a new way of life. I think the French and Europeans have got it right – they don’t get too stressed about things and in the UK we get caught up in how we think things ‘should be done’. I’d move back there in a shot – I could definitely live in France again. It’s a great place to spend time, whether it be holidays, play rugby or live there. 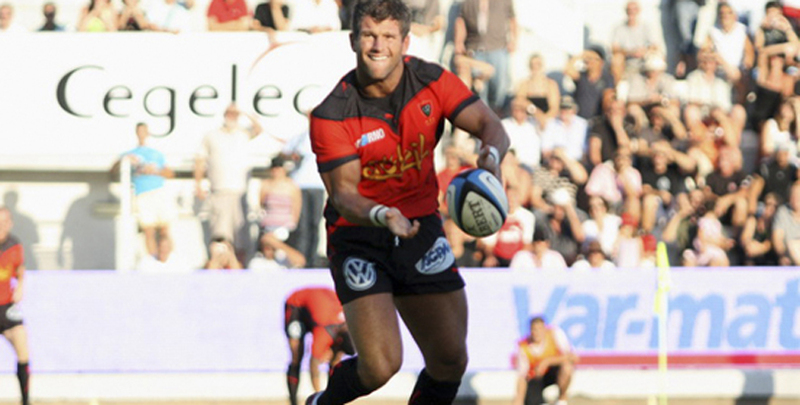 Toulon has had a major impact on French and European rugby in the past few years. The town is firmly on the map – not many people probably knew where Toulon was before the club started attracting world-class stars. The owner, Mourad Boudjellal, is clearly a larger than life figure and can add a sideshow at times, but thanks to him the club is in a great position and can continue to be a real heavyweight in both French and European rugby. How do you assess the current state of the French national team – they came fourth in the Six Nations and then were whitewashed on their summer tour to New Zealand? Over the past few years, the French national team have been close to shambolic. It is pretty easy to get whitewashed in New Zealand against the current All Blacks side and, to their credit, they put some good rugby together this summer and were on the wrong end of some pretty game-changing decisions. If you look at the quality of their players, if they can add structure and consistency into their game, they are going to be a pretty big threat for the World Cup in 2023. 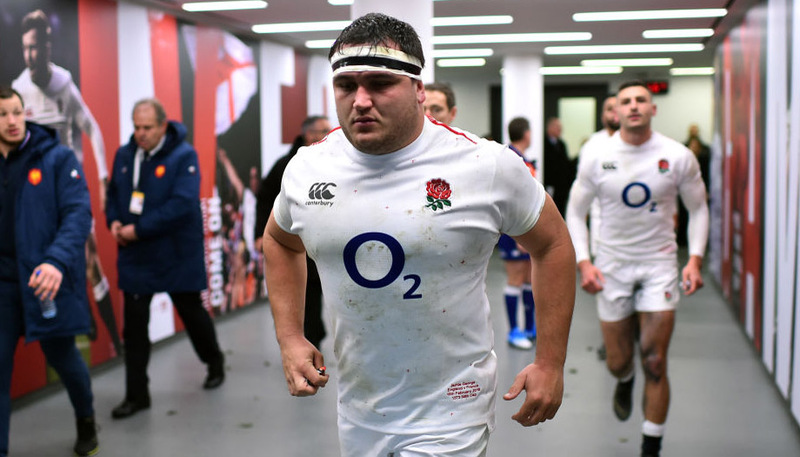 They have some youngsters coming through, though, and in the Six Nations, if you get off to a rough start, as France did, it can be difficult as its so unforgiving. France take on South Africa, Argentina and Fiji this autumn – how do you assess their prospects? How critical is this autumn on their cycle to prepare for the World Cup next year? I believe that this current French side is probably stronger than it is currently showing. I think they have a good opportunity during the autumn internationals to build their confidence. 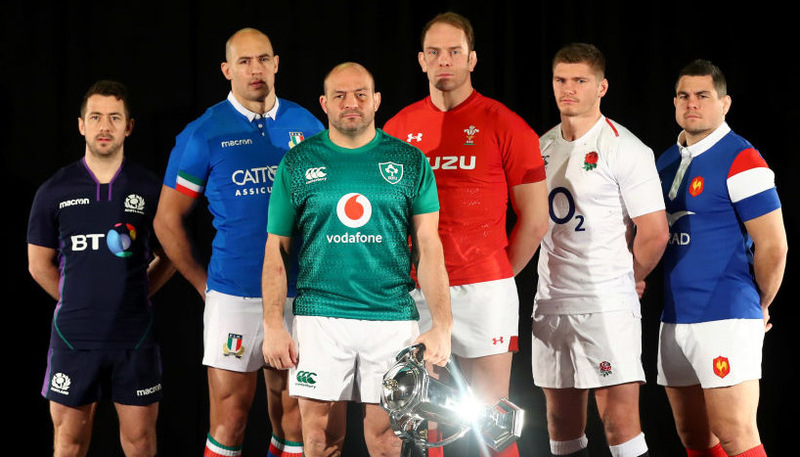 I’d expect them to win all those three games at home and I think in the run-up to a World Cup year, it is key that they do so and they take momentum into the Six Nations in 2019. South Africa and Argentina are elite international rugby nations, so beating those two sides would be massive for them and could act as a real shot in the arm to their preparations for the World Cup. Can France be realistic contenders for next year’s World Cup in Japan? If France hit some form this summer and deliver some consistent performances, they stand a chance of having an impact on the tournament next September. French sides, both in European club rugby and in the Six Nations, have suffered from a real lack of consistency, which if they can address, they can start to show the undeniable quality that they have. When French rugby is confident, it’s a really difficult beast to stop. Why wouldn’t they take confidence into the Six Nations and 2019 World Cup if they can take those three southern hemisphere scalps in the autumn.